Our fabulous and nationally recognized Plucky Maidens Spring Fest! will be held in the historic and charming Oaks Park Dance Pavilion. 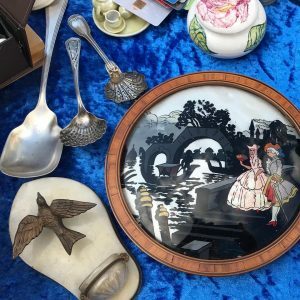 Join us to shop for vintage, antique and artisan wares offered by the northwest’s most delightful vendors. Many vendors will have goods purchased at the flea markets in Paris and London. You’ll find beautiful and delightful treasures for your home, garden and gift-giving pleasure.